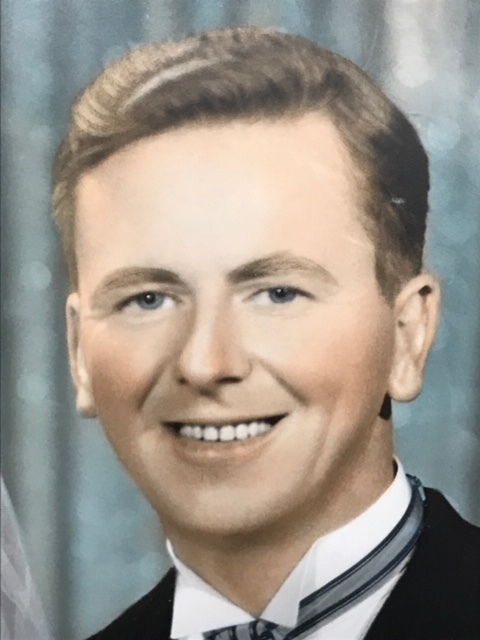 Michael J. Walsh of Northford, CT passed away peacefully on April 8, 2019. He was born on April 2, 1926 in Miltown Malbay, County Clare, Ireland to the late James and Mary Shannon Walsh. Mike, a U.S. Army Veteran served in the Korean War. He retired from Metro-North Railroad having worked as a Railroad Conductor for 45 years, a job he loved. Mike was a Third Degree Member of the Knights of Columbus and member of the New Haven Gaelic Football and Hurling Club. Mike leaves his beloved wife of 63 years, Mary H. Walsh, cherished Granddaughter Caitlin M. Walsh and Daughter-in-Law Mary W. Walsh of Guilford, CT. He was predeceased by sons Michael, James and Kieran Walsh as well as siblings Edward, James, Bridget, Claire and Margaret. Family and friends are invited to visit Keenan Funeral Home, 330 Notch Hill Road, North Branford, CT on Friday, April 12, 2019 from 5 p.m. to 7 p.m. A mass of Christian Burial will be celebrated at St. Ambrose Parish, St. Monica's Church, 1331 Middletown Avenue, Northford, CT on Saturday, April 13, 2019 at 12:30 p.m. MEET DIRECTLY AT CHURCH. Interment with full military honors to follow at All Saints Cemetery, North Haven, CT.
Memorial contributions in Mike's name may be made to CT Hospice, 100 Double Beach Road, Branford, CT 06405..